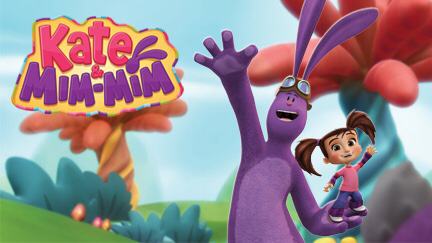 As a parent, I watch my fair share of children’s TV shows. 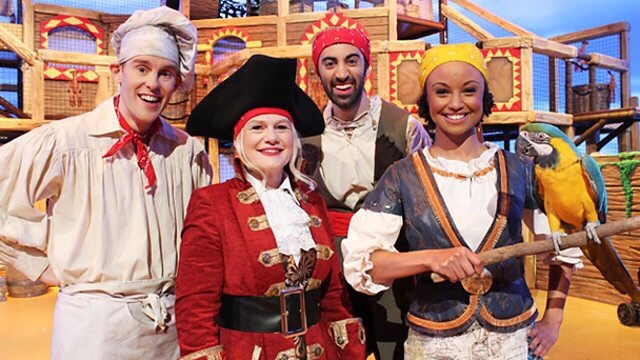 Mostly on CBeebies as we don’t have the full children package on Sky (which I am quite pleased about from my friends whose babies continuously watch MilkShake, Disney Jnr and more). Whilst TV shows have drastically improved not only in graphics but storyline since I was a kid, it still beggars belief, what was going through some tv creators mind when they decided on the final product whatever the program, whatever the year. Here’s my list of the top weirdest children programs that I have serious questions that I really do want to be answered in 2017. These will be followed by some from my past that I’m still confused by in a blog soon to come. Why would you put your grandfather in your pocket? Why do you need to shrink him to put him in your pocket? Why do you need to shrink him to have fun? Why did James Bolam agree to this? This TV show has been on the TV for 20 years, yes it’s been that long and still all these years later, it still raises some unique questions. Why do they have shapes on their heads? 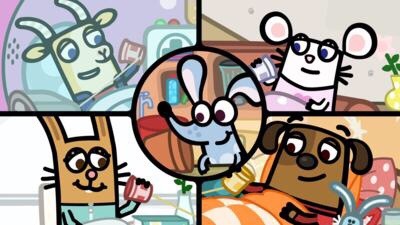 Was someone high when they thought about 4 weird looking things jumping around a Hoover called NooNoo, eating tubby toast with a cute baby as the sun in the sky? Why do they have screens on their tummies? Why is their screen-tummy-time shown twice? Why does no-one know the answer to number 6 even when you Google it? What’s up with the creepy music? Why is it always playing in the background? What are the flying animal things? One is a bunny, I think and is that a monkey? Why does Pat have 5 different types of transport? 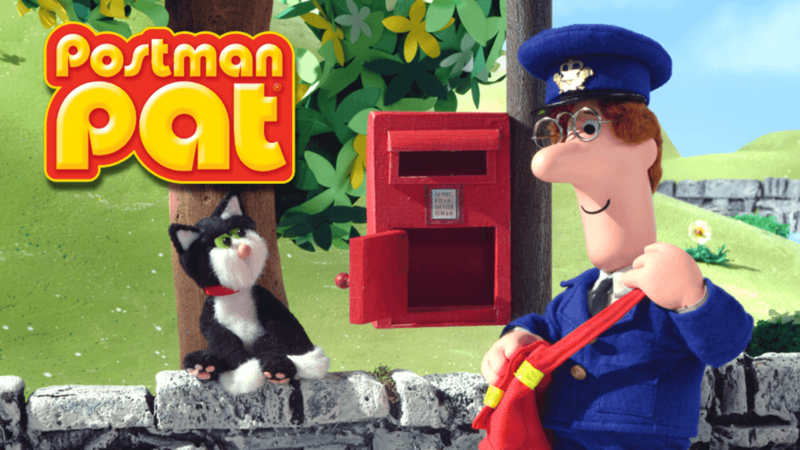 Why is Pat the only postman in the village? Who do pop stars manage to go to his town but no one can be arsed to come to Ramsgate? Why does one of the girls sound like a boy? Why is Kate’s voice so screechy and annoying? Why is her piggytails bigger than her whole body? Why are all the children much bigger than their only parents? Why does every child only have one parent? Why is Bing so annoying? Why does Bing whine and moon so much? Why does Bing do something every time when he’s told not to? Why doesn’t Bing learn from his mistakes? What is Flop supposed to be? Why is Flop shaped like a sack thing? Why is Flop so forgiving for his stupid kid’s behaviour? Why does none of the children in the show look anything like their parents? Why does Pando wear a t-shirt and pants most days or just pants on others? Why does Bing speak like that? Why doesn’t Bing just do as he’s told? Why does Flop say bysy-bye instead of just bye? Why is the leader of the broomster a unicorn? Why do all the facts have to be funky? Why is that theme tune so annoying yet highly addictive? 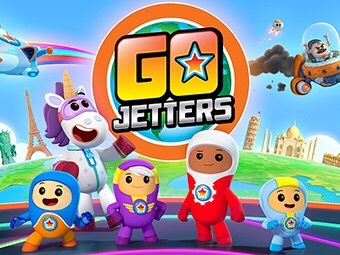 Why do the Go Jetters look like colourful condoms? Babies are cute right, but why does this one have a normal baby’s face and an animated body once it zips through space in each story? Why is it all magic and flying? Mostly through the air or up in space? Why does he and his family all live in a windmill? How do his parents afford it? Is he trying to be Neil Buchanan from Art Attack? Because if he is, that is not cool. Why does he follow 7 sequences in every episode? Why has Phil Gallagher been in lots of patomines? Why does Boj keep saying skippidy? What made Jason Donovan give up his dreamcoat to play Boj’s dad? Why is Boj so messy? I mean he’s supposed to be creative but does he never learn? Why is Raa Raa just so irritating? Even Lorraine Kelly’s voice doesn’t make him any less annoying and she has a soothing voice. Why do they live in a jingly-jangly jungle? 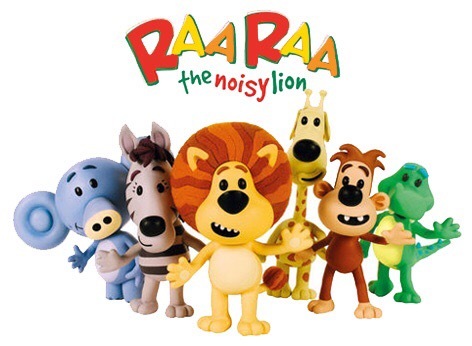 He doesn’t actually roar he just talks in a really whiny English accent, why is he called Raa Raa even he doesn’t even, you know, Raaar? Why did it take so long for me to figure out the narrator is Lorraine Kelly? 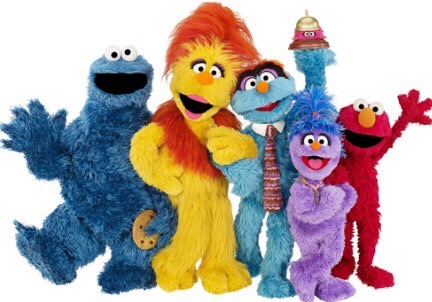 Although it’s a spin off from Sesame Street, why are there only a few original characters from Sesame Street starring in this show? Why does Elmo and Cookie Monster have starring roles, but the likes of Big Bird and Count Von Count pop up in the series every now and again? Why are the hotel owners so batty? Who on earth thought up Funella Furchester’s character? She is nuts and her voice, don’t get me started on her voice. Why is Furgus such a pushover? How is Phoebe so calm with parents like that? Is Funella’s character loosely based on Basil Fawlty’s character in Fawlty Towers? 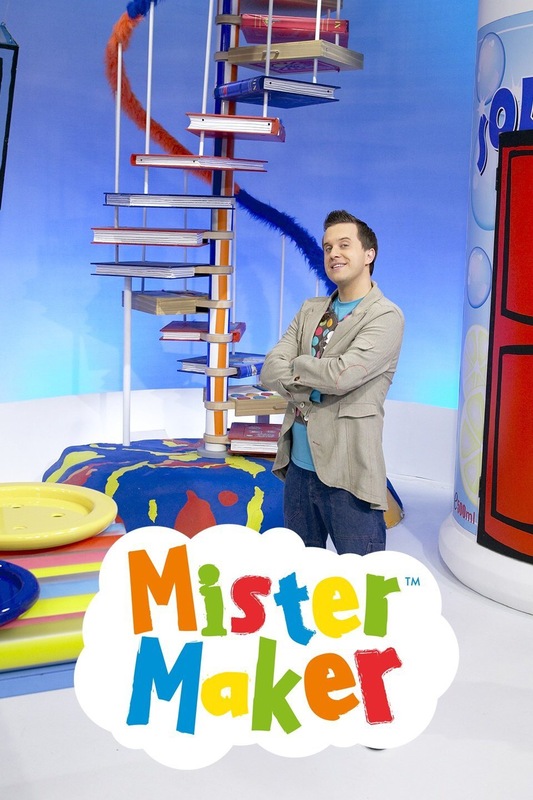 Why do I keep singing the theme tune to their advert with the wrong words? How can Liutenant Kwazii go underwater, I thought cats hated water? Why are the ships cook and gardener not actually an animal but a turnip? Who thought up the word vegimal? It’s kinda cool. Why is the theme tune so addictive? Why does no one pay attention to what they are doing? Is everything a test to see how stupid they really are? Does anyone in the town feel safe getting onto of their trains? Why do they get awards for not doing very much? Is this supposed to be a new take on Thomas the Tank Engine? Why are the characters annoying? 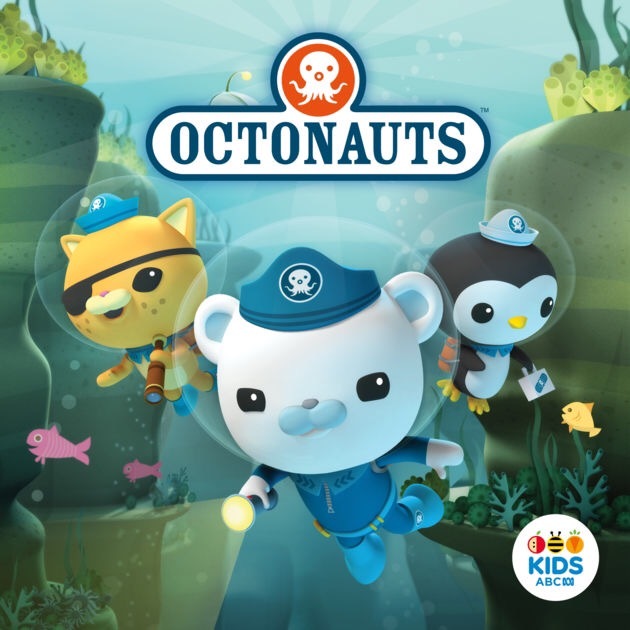 Why did Derek Jacobi agree to narrate this? Was the money really that good? What’s with the creepy music? 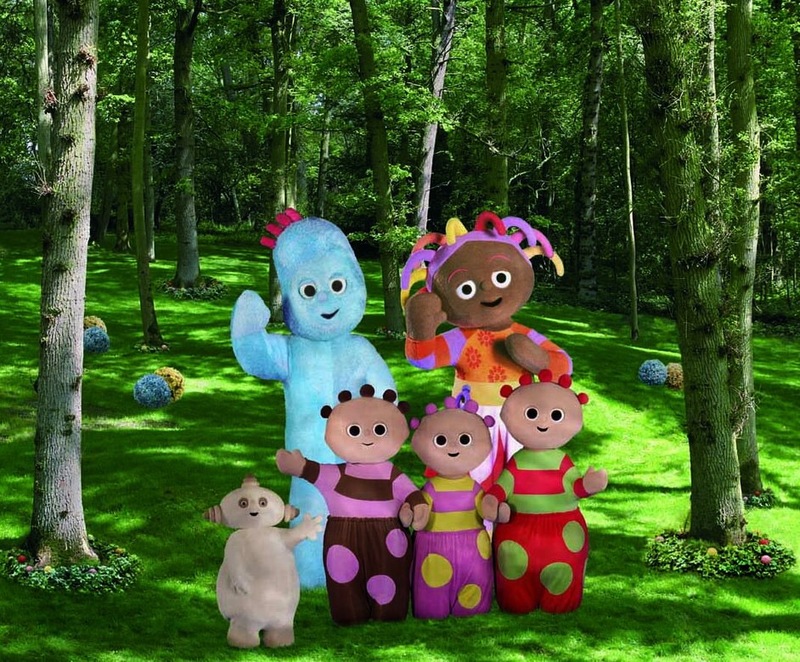 Who named the characters – Upsy Daisy, Makka Pakka, the Tombliboos and the Pontipines? Why is the transport called a Pinky Ponk? Why does the Pinky Ponk make farting noises? Why is Iggle Piggle annoying? How is Iggle Piggle allowed to visit the night garden, he’s not even a resident? 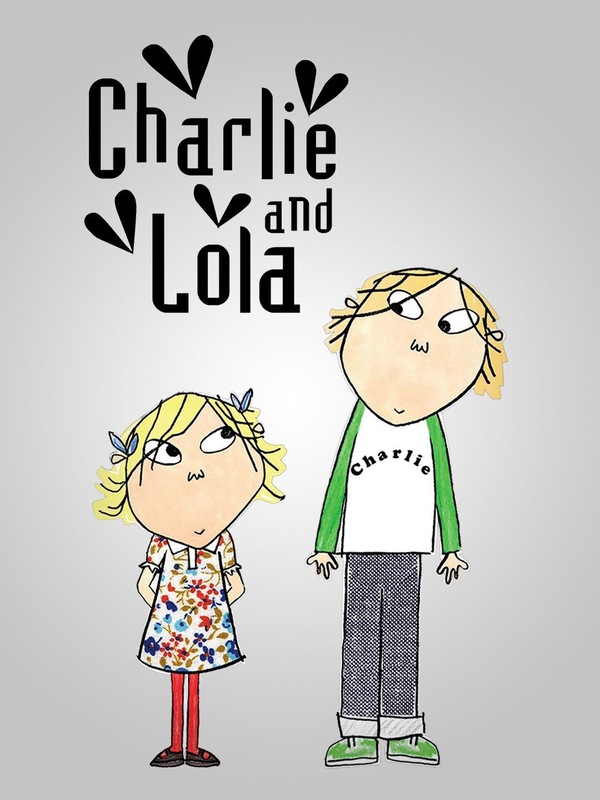 How is Charlie so chilled when his sister asks silly questions? Why does Lola go above and beyond with the levels of being annoying? Is Charlie supposed to be a teenager putting up with his little sisters antics or just a really really really well behaved young child? How on earth can Gemma Hunt squeeze herself down that teeny slide? I envy her hips. How hasn’t Captain Sinker not throttled her two shipmates yet? They’re idiots. How does Justin Fletcher do it? 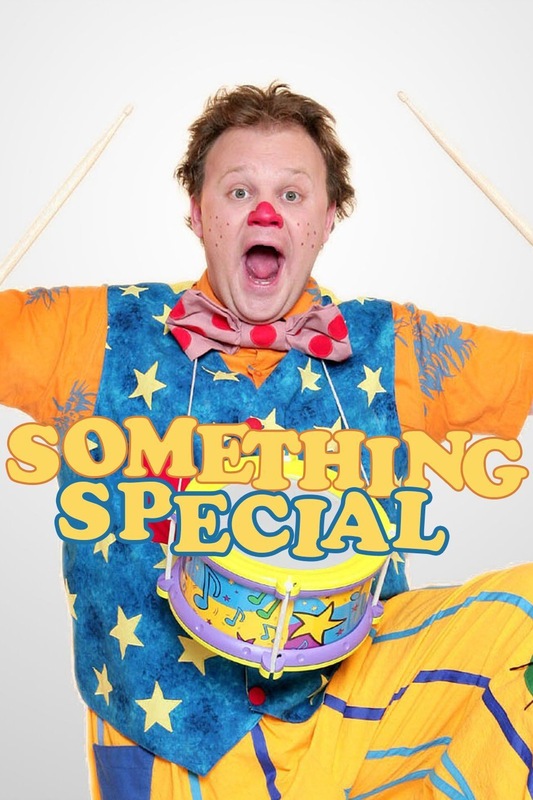 Why does Mr Tumble have to be a clown? I hate clowns. Why do children love him so much? If the name of the programme derived from the idea that all children, irrespective of their position on the learning spectrum, are special, why do all the children in the program have learning difficulties? Why aren’t all children featured? Why does Aunt Polly annoy me more than the other characters Justin plays? How does Justin have the energy to jump around like that? 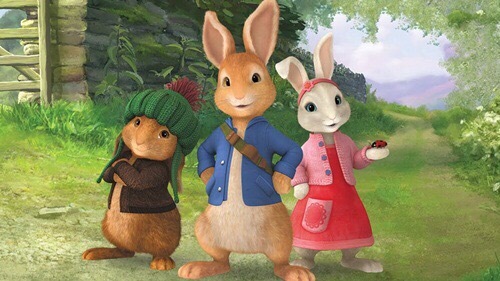 Why is Peter Rabbit so mischievous? Why is Benjamin Bunny such a scaredy-cat? Why does Peter Rabbit ignore his mum and just do it anyway? Sometimes his idea of borrowing is not borrowing! How on earth has Chris Jarvis managed to look the same in 20 years? 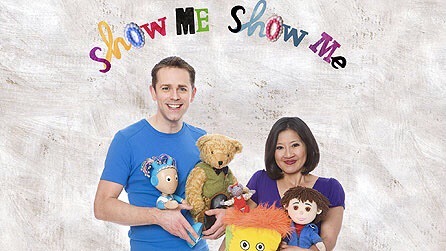 Why does Chris Jarvis, at 47 years of age want to jump around singing songs and voicing teddies in a garden in Teddington? But then again Pui Adan Lee is 46, the money must be good for them to both do it. Although this is Emily’s favourite programme and something that I watch fondly with her, there are a few things that doesn’t make sense. Why does Duggee not talk but the squirrels do? 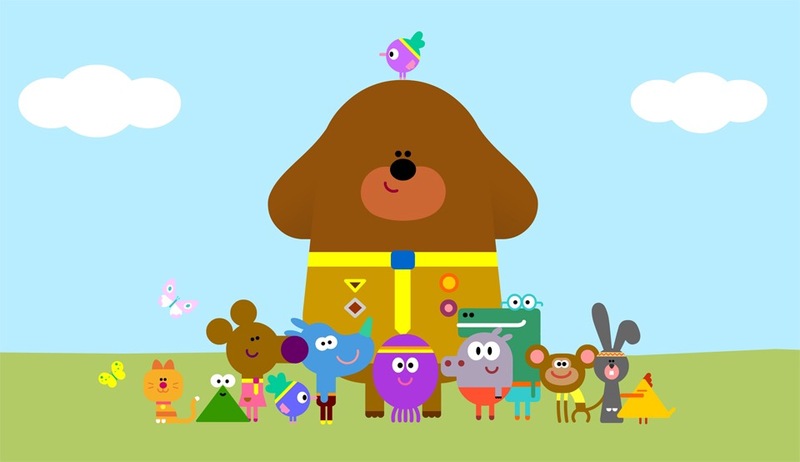 Is Duggee some sort of boys scout? Why is there a narrator but Duggee doesn’t talk? These are just some of the programmes that Emily has seen in the past few months. There are loads that I haven’t included because we don’t watch them and we don’t watch any other channels. Are there any burning questions you’d like to ask about the tv shows your children watches? My son is 14months old. I have seen all of these things in the last few monrhs and had similar questions! 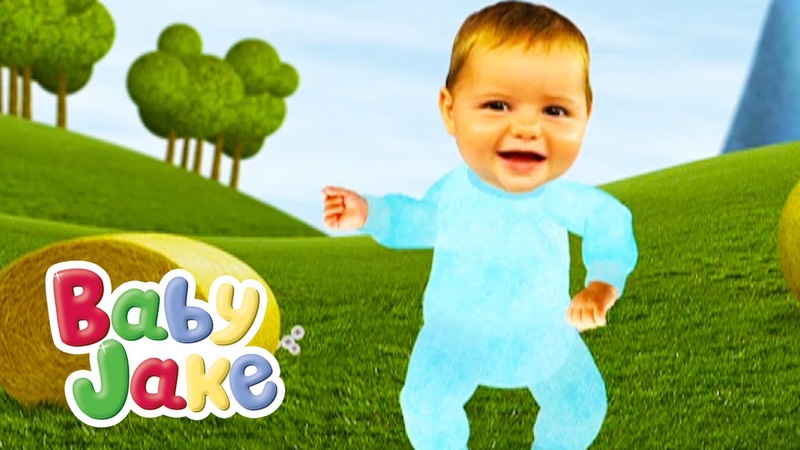 Baby Jake is quite simply the worst show on kids tv- no education value, annoying voice over kid, scary animation, animals that look like they’re on drugs). 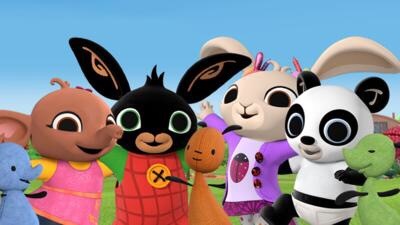 Bing bunny and his friends are looked after by ‘carers’ Rather than parents, hence why they don’t look alike, although I can’t tell you what they’re supposed to be, or what happened to any of their parents! What I want to j ow is why on Earth Mark Rylance agreed to it! Waybaloo I can help a little with.. it was developed as a way of introducing yoga to children in an effort to get them up and moving, albeit in a calm manner. The music I think is supposed to keep them calm. Can’t helo with the flying animals! What I would like to know, is why Tree Fu Tom can shrink and do magic, but his family don’t notice that he disappears, nor that he dresses like a prat! Also, why did they replace David Tennant’s gorgeous voice for Twigs? It was the best thing about the show. It’s so weird children’s TV, there are so many other questions which I can’t answer though or even ask for that matter as Emily is still obsessed with Hey Duggee on CBeebies. That may change. I hope she doesn’t get into Peppa Pig because that show has tonnes of questions I need answering, like why is all the family have a ‘Pig’ in there name but GEORGE is just George? Ha.